It’s time to scrap, “Innocent by reason of insanity”. Time to change to “Guilty By Reason of Insanity” – Robert Berezin, M.D. It’s time to scrap the insanity defense altogether – ‘Innocent by Reason of Insanity’. A crime should be defined by criminal behavior, not just by the state of mind of the accused. It ought to be replaced with a plea of “Guilty by Reason of Insanity’. The fallacy of the insanity plea is that it only assigns responsibility based on the state of mind of the perpetrator. This is of course a very major issue, but it is not the only issue. No matter how deluded a defendant is, once he commits the action of a crime, then there are consequences for other people. They count too. There are two competing issues – the defendant’s state of mind and the consequences from the commission of a crime. There is a difference between just a private fantasy and social behavior. Historically, the insanity defense was codified in England by the M’Naghten Rules of 1843. Mr. M’Naghten killed the secretary to the Prime Minister in a failed attempt to kill the Prime Minister. He was found to be ‘not guilty by reason of insanity.’ The key to this ruling is that the defendant could not appreciate the nature of his actions during the commission of his crime. This defense was accepted by American courts until the mid-20th century. There have been some erosions of the law since then. ‘Guilty by reason of insanity’ takes both issues into account. This should be used when a perpetrator is found suffering from severe mental illness and does not know the nature and quality of the act he was doing, or does not know right from wrong. This plea would take the social consequences into account as well as the state of mind of the perpetrator. Thus, there could be a fair sentencing based on all factors. Commitment to a mental institution could then weigh both the psychiatric issues and the harm done. For instance, James Holmes, the man who killed twelve people and injured seventy others at a movie theater playing “The Dark Night Rises”, should never see the light of freedom again. He was clearly and indisputably psychotic. Yet he still was clear enough to rig his apartment with bombs to kill first responders. If the perpetrator of this horrific crime was to be found ‘not guilty by reason of insanity’ and his psychosis was successfully treated, should he then be freed? No, he should never go free. Even if he was psychotic, which he was, he still bears responsibility for the enormous harm done. Nobody thinks anymore, that a drunk driver who kills someone should be exonerated because he was so intoxicated and impaired that he didn’t know what he was doing at the time. It wouldn’t have happened if he were sober. No matter what, when a criminal behavior is committed and there is irreversible damage, we are still responsible for our actions, no matter what our state of mind. A deeper understanding of a psychotic character also muddies the water between the claim of no responsibility or some responsibility. For instance, I evaluated a woman, many years ago after she had jumped out a third story window and lived. She claimed it wasn’t a suicide attempt because she was certain that she would ascend to heaven in her body. She believed she would be going up, not down. Yes, she was deluded. The real truth was, on further evaluation that she was indeed suicidal, even though at the moment of jumping, she was ‘temporarily insane’ and believed her story. The ‘tell’ is that she didn’t decide to ascend to heaven from the ground, where if she failed, no harm, no foul. Even though she honestly believed she’d go up when she went out the window, it was a suicide attempt. Even though her right hand did not know what her left hand was doing, her action decision was unerringly accurate. She was going to go down to her death. Despite her deluded belief, she was in fact trying to kill herself. The greatest problem I have with ‘Guilty by reason of insanity’, comes from the use of antidepressants, because people take these pharmaceuticals innocently by prescription without awareness of their dangers. It has been clearly shown that the SSRI’s can promote suicidal and homicidal behaviors. These psychoactive drugs alter the thinking processes and can promote loss of control over violent impulses. It is only a matter of time that the black box warning for children and adolescents will extend to adults as well. 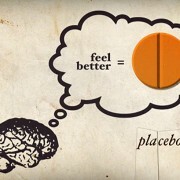 [For an alternative understanding of depression, see – “No It’s not the Neurotransmitters. 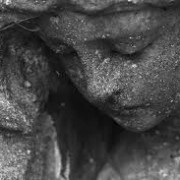 Depression is not a biological disease caused by an imbalance of serotonin.”] Most, if not all, of the individuals who committed the bizarre mass murders of the past twenty years have been on antidepressants. Prior to this time we never had such occurrences. This may not be the only issue, but they are majorly contributory. Likewise, it has already been shown that the increased suicidal ideation and acting on the violence of suicidal impulses is directly related to these drugs. 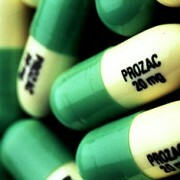 The list of suicides on antidepressants is growing daily. Patients also act on the violence of other self-injurious behaviors, including cutting and accidental self-strangulation. These patients are taking a drug that alters their mindset, ideation, judgment, and impulsivity. 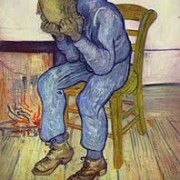 If such patients had never been on antidepressants would they have acted out? Quite possibly not. This is a great tragedy. I still come down on the side of ‘Guilty by reason of insanity’ because of the social harm done. And this plea allows us to address more responsively the appropriate sentencing. I think you share a common misunderstanding about the law with a lot of people. Under our legal tradition, certain crimes have an aspect of intentionality. A common example is 1st degree murder. To be guilty of this crime you must have formed an intent to do something you knew was wrong. This requires the existence of a “guilty mind” aka “mens rea”. If you do not have this capacity, you cannot be guilty of this crime. Drunk driving does not have this aspect. No one cares what your state of mind was when you got drunk and drove (otherwise, the consumption of alcohol could render the crime unprosecutable) and you can’t enter an insanity plea for it – the judge just won’t accept the plea. What you are proposing is to create a special class of perpetrator, one who is “guilty”, as you put it, without having a guilty mind. From a legal perspective this opens up a very complicated can of worms. Your writing is unclear, but you seem to be proposing that the prosecution would be able to somehow waive the requirement to prove mens rea in certain circumstances. Recall that our system is, for good reasons, adversarial, and that a legal defense is a *defense*. No lawyer is going to – or should – plead their client guilty unless they cannot mount a defense. Under your proposal the perpetrator would still be incarcerated, although in a psychiatric setting, but subsequently still be deprived of their freedom subsequent to treatment. The problem with this is that the incentive for prosecutors would now be to try to get the equivalent of 1st degree murder convictions where they were not able to do so before, or to use the threat of such a possible conviction when bargaining before trial. Insanity defenses typically provoke indignation, but they are extremely rare, and successful ones even rarer. Recall that even Jeffery Dahmer, who raped, murdered and *ate* his victims, could not mount one. Whether or not Holmes can successfully do so remains to be seen. I think there are two fallacies to your argumeent. The first is the exception regarding alcohol. This contradicts the “mens rea” issue. This exception proves the rule. If you don’t have a guilty mind then drunk drivers shouldn’t be prosecuted in the same way as happens with the insanity defence. There was no intent on the part of the drunk driver. I agree that this should not pertain, as it should not with the insanity defence. The defence lawyer should not plead guilty. The second fallacy is it should be a matter of law that the defendant can be proven guilty of commiting a crime depending on his guilt or innocence only. The law should then take into account elements of his state of mind in the sentencing. By the way, even though people are psychotic their acts can also be intentional. Not knowing right from wrong is a kind of fudge issue. This came into law with a naive understanding of psychosis. There is almost no one who doesn’t know right from wrong. Even so we are all responsible for our actions. There are already gradations – 1st depree murder, seond, manslaughter and so forth. We should add guilty by reason of insanity to the sentencing options. No one asserts an ‘exception regarding alcohol’ when it comes to drunk driving. On the contrary, no such ‘alcohol’ or other intoxicant exception exists for any crime. Rather, a person that drinks and drives can be found guilty of drinking and driving without the prosecution having to prove a ‘guilty mind’, ie. that you intended to do something illegal. The fact that you violated the statute is enough. This is because this is not a crime with a strong aspect of intention. If it can be proven that you operated a motor vehicle with a certain amount of alcohol in your bloodstream you will almost certainly be found guilty. (Note that this is regardless of whether you actually caused harm of any kind.) Most crimes have only this “basic” aspect of intention. As you acknowledge, causing the death of another person is very much a crime of *specific* intention, and a crime of degree, and most people would agree that this is reasonable. While standing on a subway platform I might bump you accidentally and cause you to fall to your death, or I might do so intentionally. This is where state of mind goes directly to proving a person guilty or not of a *specific crime*. The same outcome – you falling to your death – could be first degree murder, or no crime at all. It is an error to cite as these “degrees” as *sentencing options* – they are rather very different statutory crimes. Sentencing follows from the specific crime of which the person is convicted, *not* from the general fact that, for example, someone caused another person’s death. The guilt or lack of it is specifically caught up with state of mind that forms an integral part of the statutory crime. You seem to want to create some kind of generic, all-in-one “caused-a-death” crime, with sentencing to follow at the discretion of the judge. Sentencing and the statutory crime are inextricably linked for good reason – transparency, accountability of the judiciary etc – and are a cornerstone of basic judicial disinterest. Anything else would instantly lead to appeals based on equal treatment and due process. The prosecution must first prove guilt of a specific crime. If the crime requires “strong” intentionality, they must prove that as well. 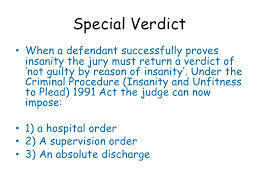 A *verdict* of “Guilty but mentally ill” does legally exist in some states, and has for about 40 years, but it actually acts to further reduce the possibility of using the insanity defence. Sentencing in most states that has this as a *verdict* simply follows as if a normal guilty verdict had been found. It is a common reaction in visceral, high profile cases like the Holmes case to attempt to propose alterations of the law in order to appease what seems like a natural sense of justice. We believe that justice demands Holmes should be incarcerated once “cured” and the insanity defence looks like – as you call it – part of a “fudge” that is going to somehow let him off the hook (and in fact if he had perpetrated his crimes one state to the left the plea would not be available at all.) We do so at our peril (and I can assure you Holmes will remain forever incarcerated, regardless of how the trial unfolds.) US laws are far from perfect, but the acknowledgement of mental illness as a rare but relevant, and potentially exculpatory issue in a narrow range of crimes (not proof of “innocence”) is a positive development. Playing games with the fundamental concept of intention, let alone creating generic catch-all categories for crimes and leaving the sentencing up to the judge is not going to make our system any better, and might make it worse. The experience of the “Guilty but mentally ill” statutes bears this out. Incidentally, under our system no one is found “innocent” of anything. They are found “not guilty”, which I am sure you agree is not the same thing. Also, it is not a “fallacy” to assert facts about the law you don’t like. You might contend that it “should be a matter of law” that this or that be the case, but it is not fallacious to point out that they are not. Enough is Enough Series #3: A Hallucinogen for Depression? Biological psychiatry... A Call to Arms. The future of psychiatry is at stake.